the Cuban state and its millennial demographic negotiate their values and needs by way of the urban internet geography of Havana. Through these spaces and relationships of negotiation, questions of urban and national identity are worked out. My study aims to find new dimensionalities to the body of information available about digital and Internet culture in Havana, while giving weight to the idea of the city space of Havana. 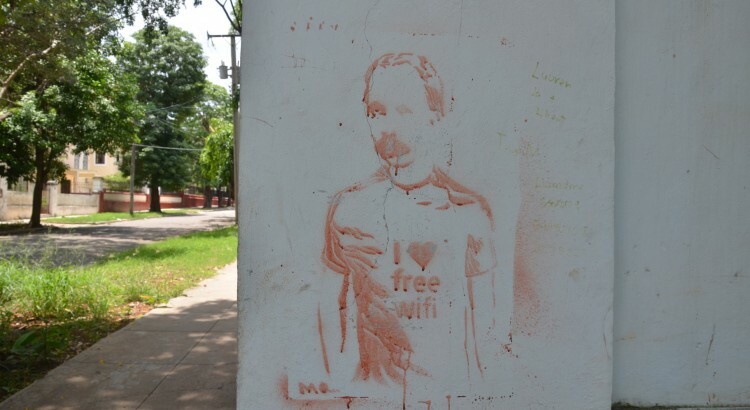 Cuba’s alternative Internet demonstrates that the line between physical and cyber worlds is entirely artificial, and perhaps offers a lesson in how technology advances public, private and political development. I hope to tell an important story about the surprising nature of a technology’s adaptation, generally speaking, as well as an important story about the relationship between the city of Havana and that which exceeds its physical limits. Perhaps most importantly, however, I hope that my research is able to illuminate certain characteristics of the Internet – its media, its content, and its materiality.